“Time moves in one direction, memory in another.” – William Gibson. 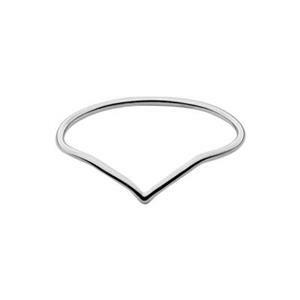 Our SR417 – Bright Sterling Silver 1mm Chevron Stacking Ring. Size 7. A little Chevron – giving you a little directional arrow … Whether looking outwards to your future – or upwards to your heart – you choose which direction you want to wear it on your finger. Surround it with other directional indicators from our selection of Finger Rings.